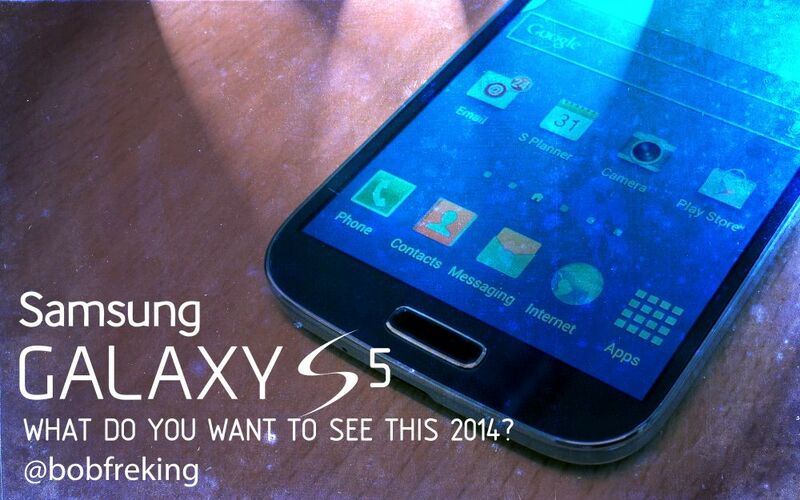 Bob Freking proposes an interesting question: what do you want to see from the Galaxy S5 in 2014? He claims that Samsung missed out on some opportunities regarding the Galaxy S4 and thanks you all for the praises brought to his Galaxy S4 concept. He then goes ahead and posts the teaser picture here and the video below. What does this mean for you? Well, it’s simple… just like you did before, it’s YOU who will decide the specs, features and design of the Galaxy S5 and Bob Freking will make them into a real device. Aluminum for the case would be a nice option and I think that the HTC One approach to the camera (not all about the megapixels) is interesting. Optical stabilization is a must for the camera and so is great low light behaviour. Then comes the size… I frankly hope that 5 inches is the maximum they’ll go with and also Full HD is enough resolution for everyone. The case should be around 6 or 7 mm thick and I frankly want the Galaxy S II look back, so totally rectangular and maybe rounded at the corners a bit. A great front camera is a must in this age and 2 GB of RAM and a quad core Snapdragon 800 CPU should be enough. What are your suggestions for the Samsung Galaxy S5 concept that Bob Freking will create?